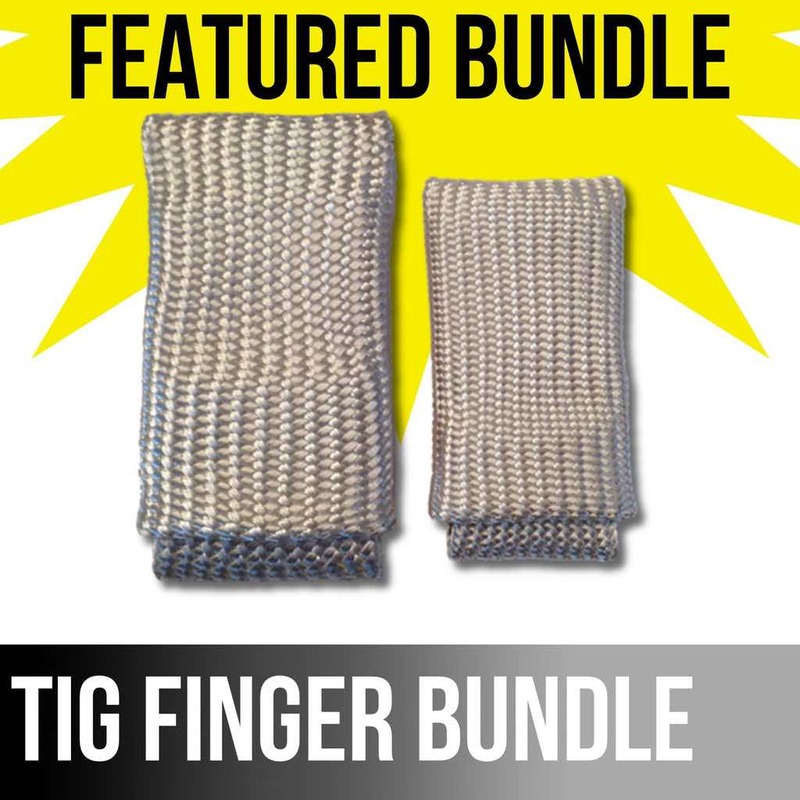 Tig Finger and Tig Finger XL as a bundle. (Tig root and hot pass…7018 Stick fill and cap). The monster coupon test is The monster is 2 3/4” in diameter with .625” wall thickness. But the term “super coupon” is also used by others to refer to the same thing. 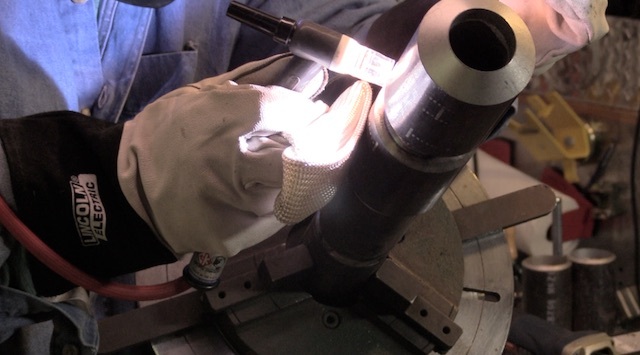 The 6g monster coupon is used to provide a broader range of qualifications for a welder and often saves time and money by providing broader thickness and diameter qualification ranges without the need for multiple weld tests. Process....and down to around 1 inch diameter limit. All mill scale should be removed 1/2” from the weld area on the inside diameter as well as outside. And be careful with the grinder not to put any gouges in the base metal...something like a flap disc or flap wheel will remove mill scale without gouging the surface. But follow the instructions provided in the welding procedure spec (WPS) for gap, land, fitup, and any other variables like interpass temperature, amperage, etc. Tig setup…probably will be a dry rig scratch start so refer to previous video showing hot to set up a scratch start tig rig. Fit up and mismatch, zero mismatch is what you want. There is no reason to have mismatch on a welding test. If the number of tack welds is not specified in the WPS, ask the tester. (Personally, I would probably opt for only 2 tack welds …one at 10 and one at 2 oclock but every test I have taken required 4 tacks. One at 12, 3, 6, and 9 oclock. Sometimes there are requirements for min and max length of tack welds so read the WPS or ask. Lay pieces in piece of angle or channel to support the pieces in line while you weld the first tack weld. Rotate pieces to get best fit with least amount of mismatch aka hi lo. Sometimes the WPS does not have all the information. So ask How many tacks , where, max size of tack welds , how much reinforcement on tack welds. Bridge tacks …like the name implies, are tack welds that bridge both members without penetration…without melting the inside of the pipe at all. Most likely, bridge tacks will not be allowed on a 6g welding test done to ASME/ANSI section IX criteria. Should you weld the Bottom first? Or one whole side first? Welding the bottom half first allows for easier repairs if you mess up. But some tests don’t allow repairs anyway. and some inspectors want to see one whole side welded at a time...Ask the inspector/tester. How much penetration or reinforcement is allowed or required on the root? This is an inspector preference. It shouldn’t be, but it is. Section IX root acceptance criteria is fully penetrated and flush or above flush. But some testers want lots of penetration/reinforcement. IF you are in doubt, just ask what they are looking for. Goal of hot pass…3 things…fusion to the root, add thickness for the first layer of stick, don’t mess up the root. It is called a hot pass but a hot pass is not always hotter than root…especially if a smaller rod is used for the hot pass. Now that the hot pass is done, its time to start the 7018 stick passes.